Yo! Dear readers! 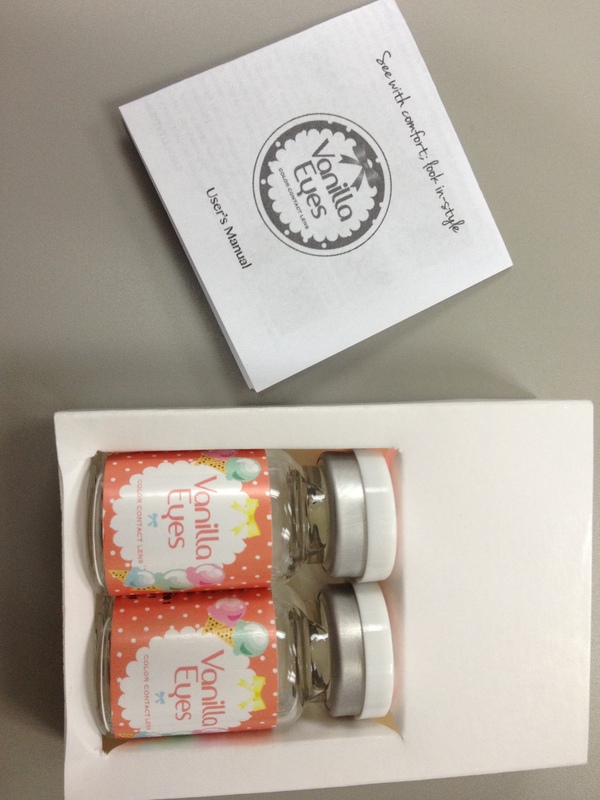 It’s been awhile since I wrote a review about something and I wish I could do it more often. 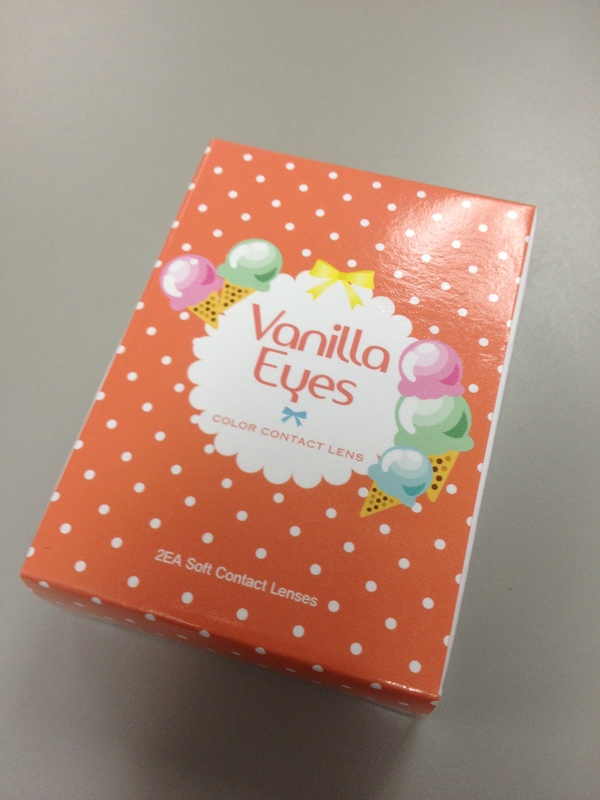 XD So anyway, for today’s post, I’m going to review contact lenses from Vanilla Eyes Philippines. 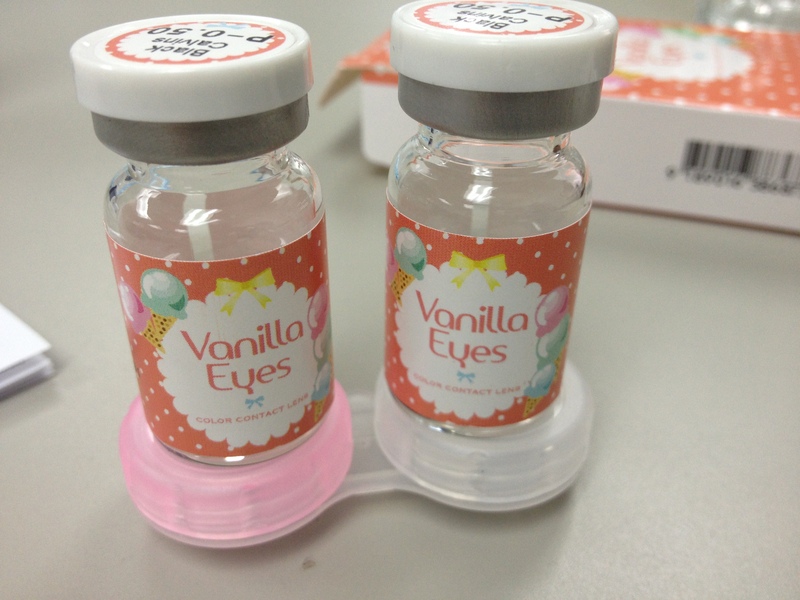 is the exclusive provider of Vanilla Eyes Colored Contact Lenses from Vanilla Eyes Inc., South Korea, an OEM Brand. 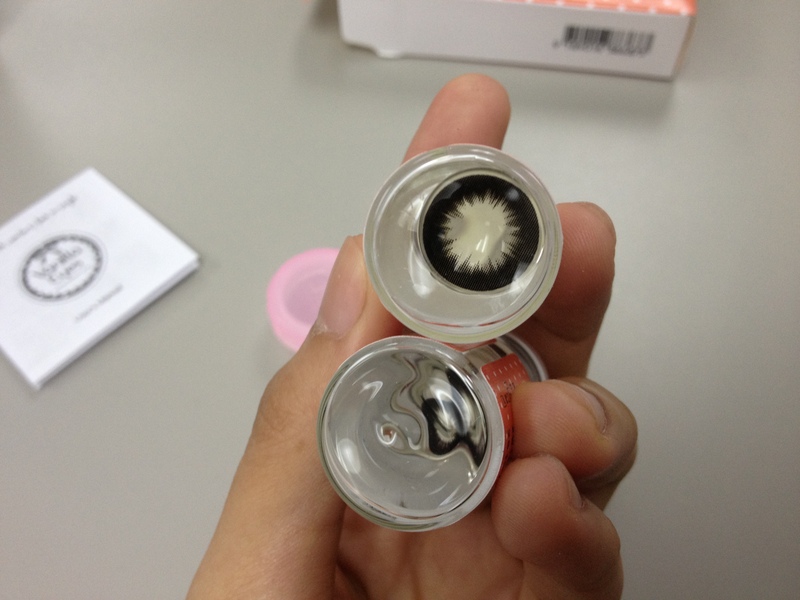 Our contact lenses are imported and made by one of the top manufacturer in South Korea, KGMP Certified for its maintenance, consistency and enforcement of exceptional high standard in manufacturing.Our contact lenses are CE certified for safety usage, KFDA & ISO approved for authorized distribution, and quality control. 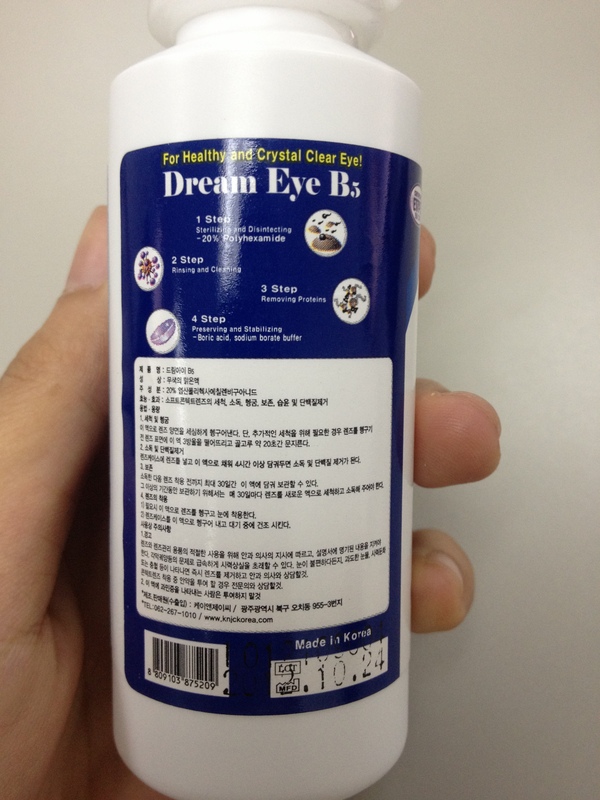 Apart from the box of contacts, the package also came with a 40ml bottle of Dream Eye Contact Lens Solution. =) This is what I liked because not only do they provide you with the product itself but also with the solution, which isn’t something given by other stores. I wore them immediately after receiving them! I got so excited with them that I wore them without really cleaning the lenses as I should have had. My right eye felt fine but my left eye was hurting. I felt a sharp sensation every time I blinked and when I looked at a certain direction. I just had to take them off. But of course, that was only for an hour and I know I had to give it another try. So the second time I wore them was last Friday, July 12! I washed them properly using a different solution, I think I used Alcon, then wore them quite easily! =) I was going to use it the whole day so I needed to bring the lens case with solution inside and the 40ml bottle of solution that came along with it. So far so good, they felt comfortable and I had no problems with it within the first hour. This is usually a good sign for me. As soon as I got out of the house and was on my way to work, I realized that I had forgotten my lens kit! XD Oh boy was I in trouble. haha So I figured that that day was the perfect circumstance to test the lenses. 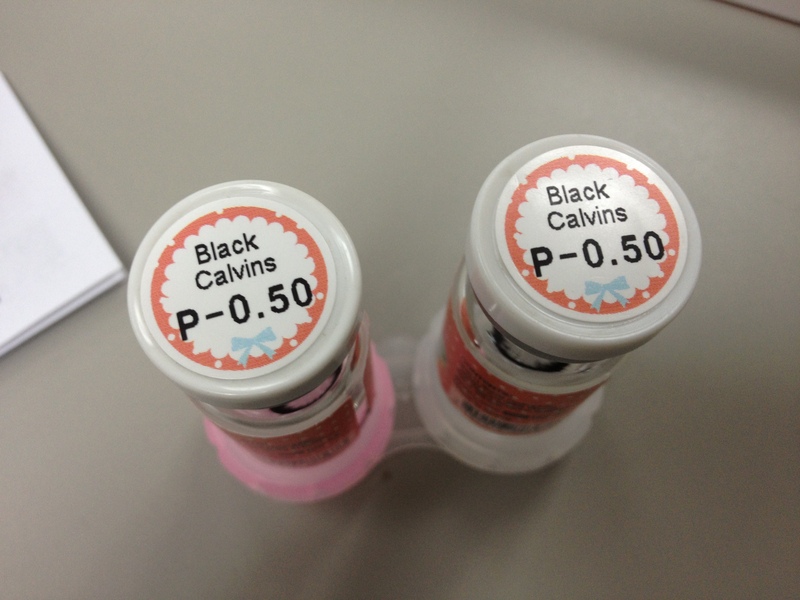 I got to the office fine and the black Calvin lenses were still good! Now I had to battle the dry and cold air of our office’s air conditioner. 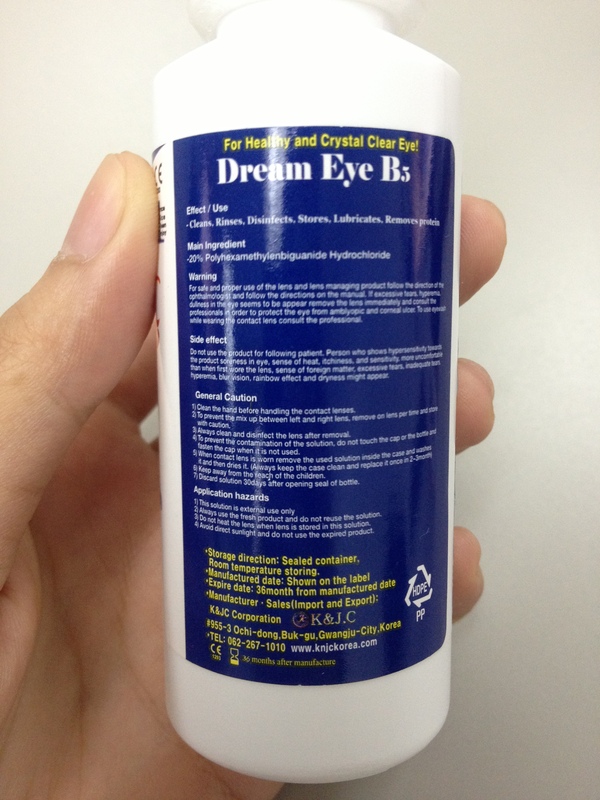 It’s pretty common for people wearing contact lenses to feel their eyes drying up. 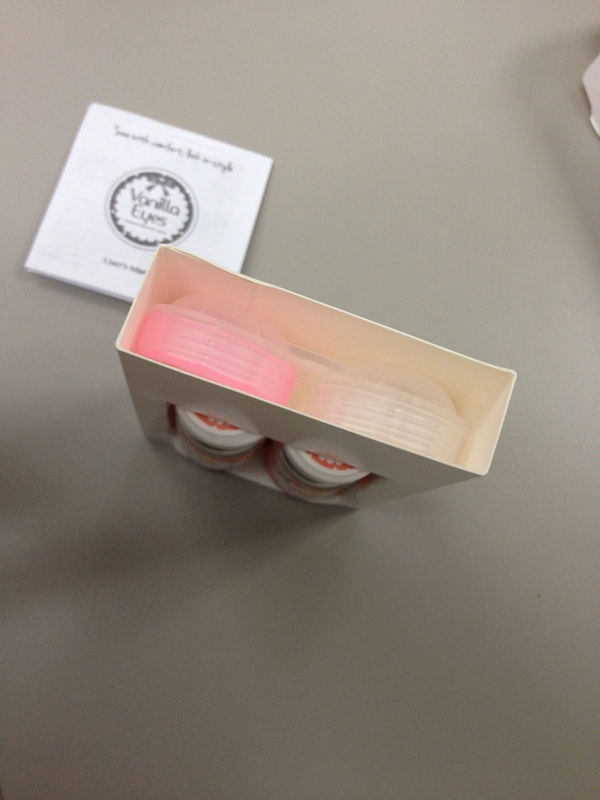 My best friend told me that I should buy lens lubricant drops just in case. 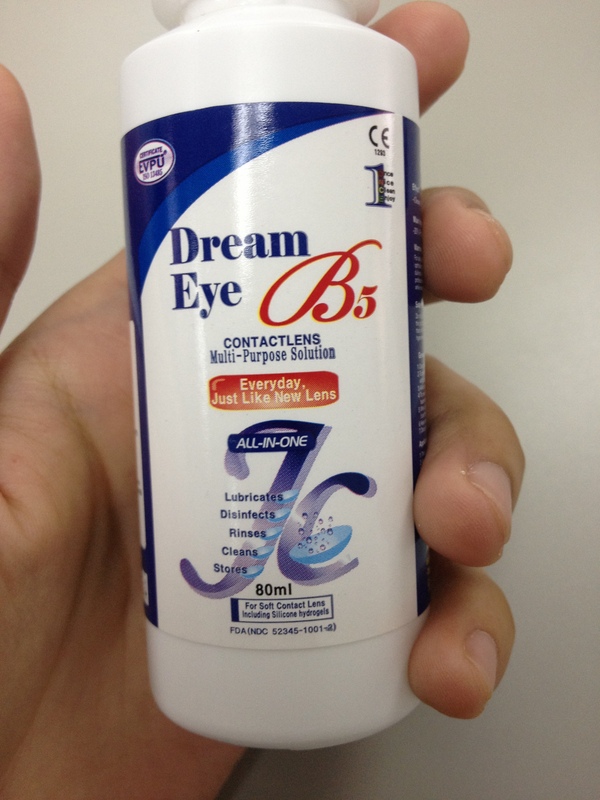 I said to myself that I’d buy a bottle once I notice my eyes feeling dry. The clock hit 7PM and I still haven’t bought lubricant drops. 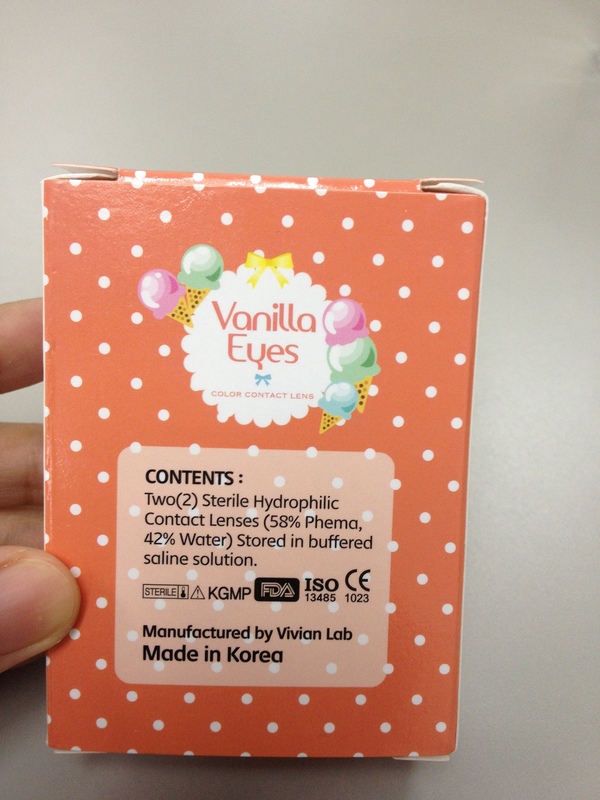 Haha The contact lenses did not make my eyes feel dry at all. LOVE IT!! =) But my day wasn’t ending there! 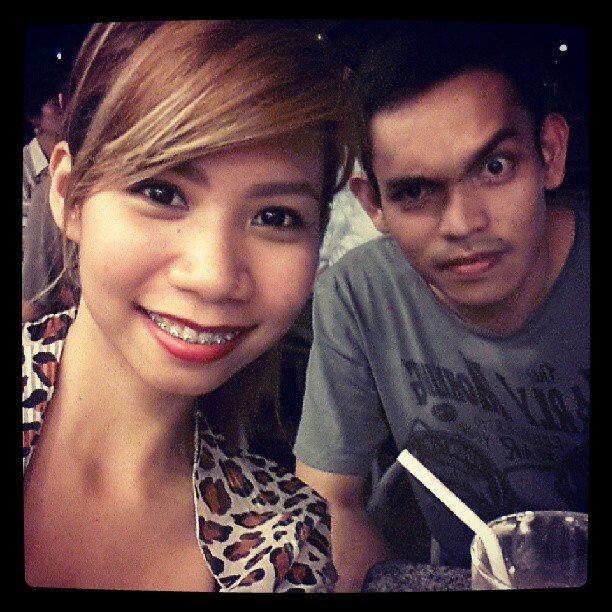 I still had a date with ze boyfriend and a movie to watch! This meant more time with the contact lenses on. I got to the mall and decided to buy the lubricant. So we had dinner, chilled at the outdoor UCC cafe and then watched the movie. 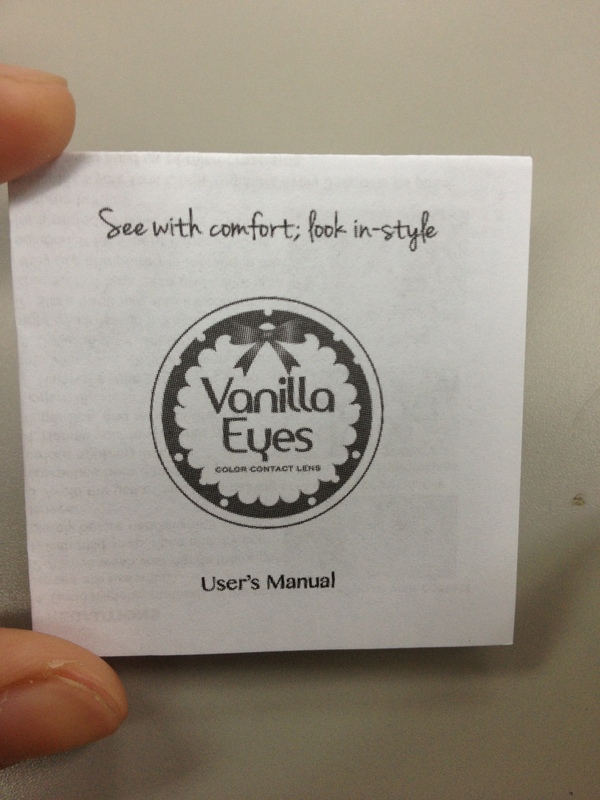 I was so happy because the Vanilla Eyes Contact Lenses were holding up. No pain at all, no drying, no nothing! 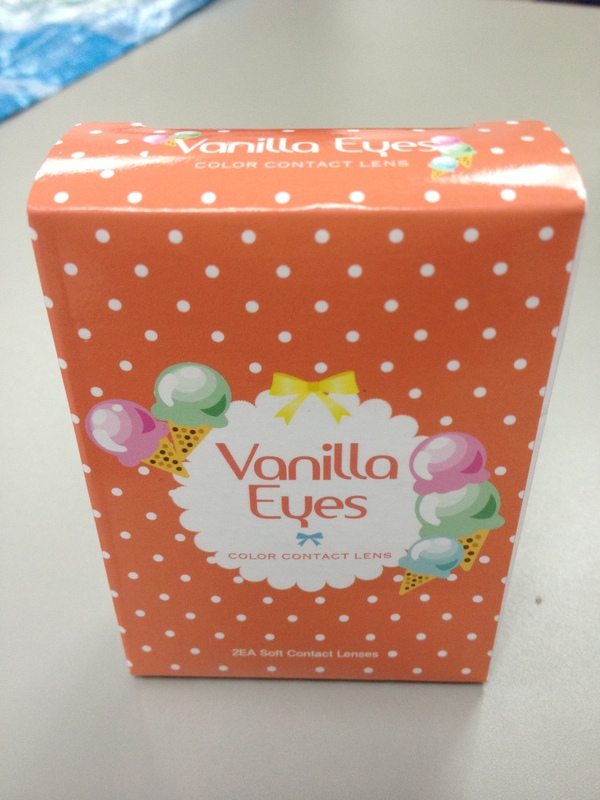 The .50 Black Calvin Contact Lenses were given to me by Vanilla Eyes Philippines for reviewing. 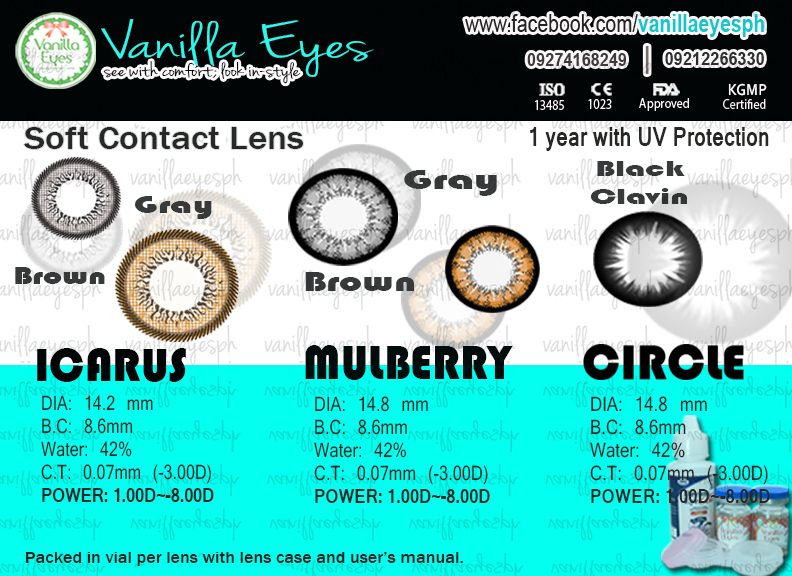 Every thing I wrote on this post was written out of pure honesty regarding the lenses and my experience with it. Next Yabu: House of Katsu – I love you! Great blog post, thanks for sharing it here ! Just for your info. 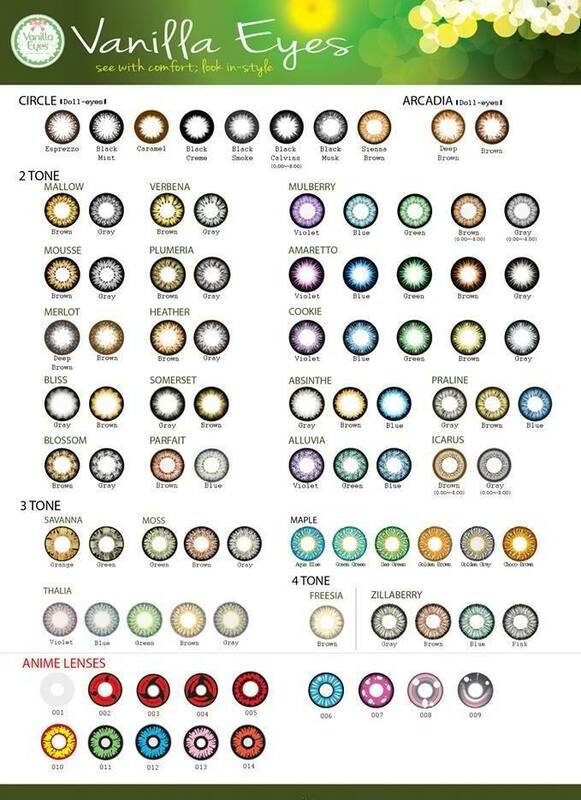 you can also check out http://www.contactlensxchange.com for more exciting brand colored circle lenses.